iOS is a mobile operating system developed and distributed by Apple Inc. Originally released in 2007 for the iPhone and iPod Touch, it has been extended to support other Apple devices such as the iPad and Apple TV. iOS is the world’s most advanced mobile operating system, which is continually redefining the approach towards mobile device. Unlike Microsoft’s Windows Phone and Google’s Android, Apple does not license iOS for installation on non-Apple hardware. As of September 12, 2012, Apple’s App Store contained more than 700,000 iOS applications, which have collectively been downloaded more than 30 billion times. It had a 14.9% share of the smartphone mobile operating system units shipped in the third quarter of 2012, behind only Google’s Android. iOS is derived from OS X, with which it shares the Darwin foundation, and is, therefore, a Unix operating system. iOS is Apple’s mobile version of the OS X operating system used on Apple computers. Derived from core OS X technologies, the amazing user experience of iOS has been streamlined to take maximum advantage of iPhone, iPad, and iPod touch hardware. Technologies shared between iOS and OS X include the OS X kernel, BSD sockets for networking, and Objective-C and C/C++ compilers for native performance. In iOS, there are four abstraction layers: the Core OS layer, the Core Services layer, the Media layer, and the Cocoa Touch layer. The current version of the operating system, iOS 6.0 dedicates 1-1.5 GB of the device’s flash memory for the system partition, using roughly 800 MB of that partition (varying by model) for iOS itself. The user interface of iOS is based on the concept of direct manipulation, using multi-touch gestures. Interface control elements consist of sliders, switches, and buttons. Interaction with the OS includes gestures such as swipe, tap, pinch, and reverse pinch, all of which have specific definitions within the context of the iOS operating system and its multi-touch interface. Internal accelerometers are used by some applications to respond to shaking the device or rotating it in three dimensions. One common result is switching from portrait to landscape mode when rotated. The home screen also known as “Spring Board” displays application icons and a dock at the bottom of the screen where users can pin their most frequently used apps. The home screen appears whenever the user switches on the device or presses the “Home” button. The screen has a status bar across the top to display data, such as time, battery level, and signal strength. The rest of the screen is devoted to the current application. When a passcode is set and a user switches on the device, the Lock Screen is displayed. Working together, the Cocoa Touch frameworks and powerful foundation provide a truly unique canvas upon which to create a new work of application art. Direct access to video playback and capture. Using high-level frameworks, spectacular animations and transitions within an app’s UI can be created. Together, the iOS SDK and Xcode IDE make it easy for developers to create revolutionary mobile apps. With tools like the Xcode IDE, Instruments, and iOS Simulator, the starts app running within minutes. By joining the iOS Developer Program the developer can test the apps on devices and distributes it to get the resources. Because Apple makes both the hardware and the operating system for iPad, iPhone, and iPod touch, everything is designed to work together. So apps take full advantage of hardware features such as the Retina display, the Multi-Touch interface, the accelerometer, the three-axis gyro, accelerated graphics, and more. FaceTime is a perfect example. It uses both front and back cameras, the display, the microphone, and WiFi connection. With thousands of apps in practically every category, iOS is the platform for the world’s largest collection of mobile apps. With all those apps in one place, they’re easy to access, easy to search, and easy to buy using the same account used for iTunes. 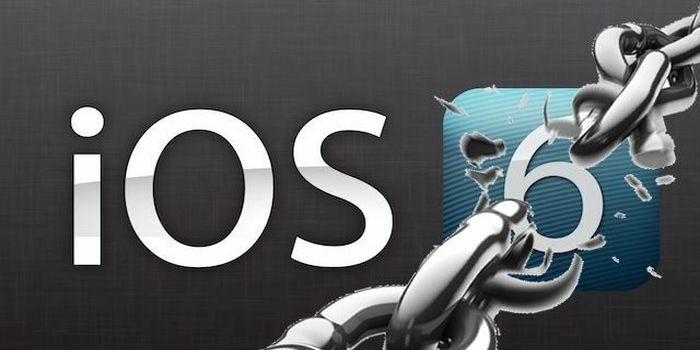 iOS provides built-in security from the moment the device is turned on. Low-level hardware and firmware features are designed to protect against malware and viruses, while high-level OS features help to secure access to personal information and corporate data. Accessibility features like Guided Access, VoiceOver, and AssistiveTouch help people with disabilities experience more of what an iOS device has to offer. Control understands over 20 languages. Businesses around the world are choosing iOS devices for their enterprise-ready features and powerful security. iOS works with Microsoft Exchange and standards-based servers to deliver over-the-air push email, calendar, and contacts. iOS protects data by encrypting information in three separate areas: in transmission, at rest on the device, and when backed up to iTunes. dictate lists and ideas with the Notes app. Ranosys Technologies is dedicated towards the development of unique and sophisticated applications compatible to iPhones. Ranosys Technologies creates the unique and innovative ideas, which enhances the integrated process of iPhone application development. The application development team of Ranosys Technologies have developed apps that are not only functional, but phenomenal at the same time includes essential, most-wanted features. Ranosys Technologies have developed applications on iOS for a number of domains including healthcare domain and application for business houses. The application for the healthcare domain gives the ability for the users using Electronic Medical Record software to remain connected with the patients update as well as their daily schedules. This system is in use by clinics worldwide for clinic management and records purposes. The approach adopted by Ranosys Technologies is to build an app that wows the customers, accelerates the traffic which in turn generates the revenue, and pays for itself many times over.